Restoring church pews can be an excellent way to both save money and add an element of historic charm to your church. Church pews have a character of their own and replacing them with newly constructed ones can be wasteful and a disservice to the beautiful construction and love that was put into their original craftsmanship. A pew constructed with hardwoods often only needs to be refurbished in order to bring out its original character and beauty. In this article, we will go over the steps and processes that are involved in refurbishing a church pew and how you can once again bring out the natural shine of your church’s furniture. Before we begin, it is worth noting that for some large projects, bringing in an outside professional can be a wise choice. Large projects take a lot of man hours and expertise. 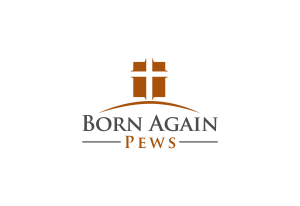 Here at Born Again Pews we want to be of assistance to you in any way possible. Our expert craftsman will ensure that your refurbishing effort is done with consistency, precision, and impeccable quality. If simple touch ups are all that is required, the pews may be kept intact. However, deconstructing these pieces of furniture allows for a thorough refurbishing that will make them look like new. When deconstructing the pews, workers will unhinge the benches from their supports so that each individual piece can be manipulated more easily. The old upholstery will be carefully removed, taking particular care to make sure that the old fasteners do not damage the underlying wood when they are removed. This old upholstery will be thrown out and replaced with fresh fabric. The underlying wood is where the real attention will be needed. These pews have taken years of use which have left scuff marks, dents, and dirt. Although the underlying wood still holds its natural beauty, there is a lot of work that needs to be done in order to bring out its natural shine. For a full restoration, the wood will be sanded down in order to reveal the fresh grain underneath. Sanding is a time-consuming job where a heavy-duty commercial sander can make a big difference. Once we have the wood stripped down to its natural form, it’s time to varnish before the reupholstering process can begin. Once the new varnish cures, you may not recognize your old pews at all. Little pieces of dirt and oil work their way into the wood over years of use that are hardly noticeable on a day-to-day basis. But once they have been cleaned and renewed, you will realize just what you were missing all along. The final reupholstering process will replace your old fabric with a plush new color that will bring the whole piece together again. Our craftsman at Born Again Pews will repair any damaged pieces or blemishes. The result is a beautifully refurbished pew that might as well be brand new. At Born Again Pews we construct all of our pews out of solid oak. So if your pews are anything like ours, with an occasional refurbishment, they will be able to last for generations to come.